Binghamton, New York's Rod Serling Gazebo remembers the creator of The Twilight Zone. Atlas Obscura on Slate is a blog about the world’s hidden wonders. Like us on Facebook and Tumblr, or follow us on Twitter. Martin Sloane realizes he has slipped back in time when he sees his younger self carving his name on a gazebo in a park containing an old carousel. Martin has accidentally returned to his childhood town after a 25-year absence and is astounded to discover nothing has changed. 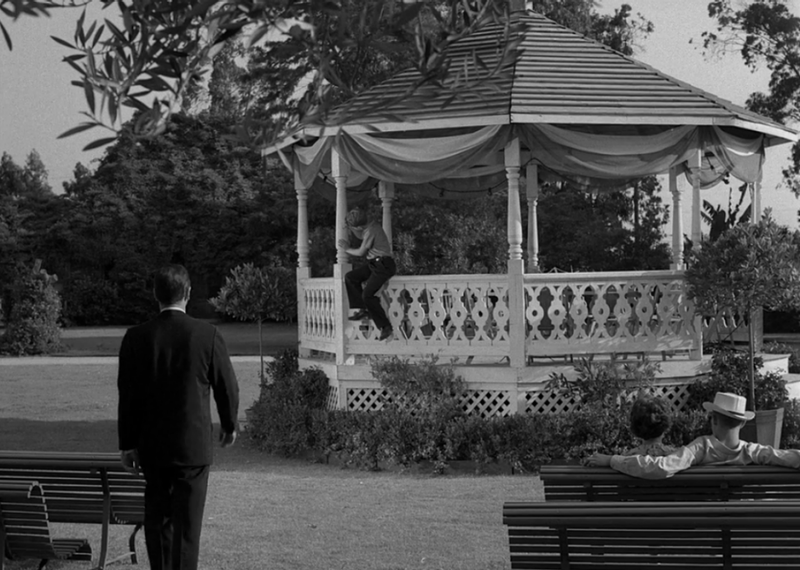 So begins the plot of “Walking Distance,” the fifth episode of The Twilight Zone, which aired in 1959. The setting of the story is based on a real carousel that has been in continuous operation since 1925 in Recreation Park in Binghamton, New York, where the visionary creator of the famous television series grew up. Many Twilight Zone locations are based on real places. “Mirror Image” takes place at the Greyhound station with a rider waiting for his bus to Cortland. The streets in “The Monsters are Due on Maple Street” eerily resemble Binghamton’s West Side. The carousel at Recreation Park is one of six built by George F. Johnson as a gift to the workers of the Endicott-Johnson company. All six are still running, and if you ride them all in one summer you will earn a pin to commemorate the effort. The Rec Park carousel has 60 mounts and runs all day in the warmer months. If you liked this, you’ll probably enjoy Atlas Obscura’s new book, which collects more than 700 of the world’s strangest and most amazing places: Atlas Obscura: An Explorer’s Guide to the World’s Hidden Wonders.